This is a special D6 die in my 'Twined' dice series, that can be used to keep track of +1/+1 counters that have been placed on creatures in various card games such as Magic: the Gathering. 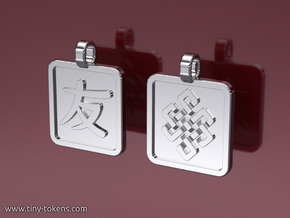 The die has a height of 14 mm (0.55'') (the distance between each set of two opposing faces). 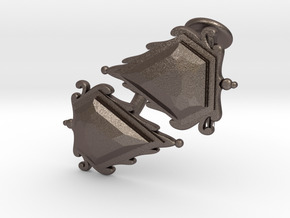 This size works very well when printed in any of the steel materials or other metals. The numbers on the sides of the die run from +1/+1 to +6/+-6. Great care has been taken to ensure that the die is fair and well balanced. 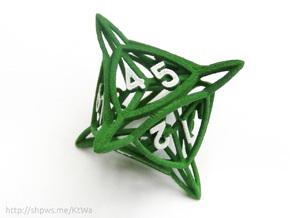 Because of this you can also use it as a regular dice or to roll to see who goes first in an game. 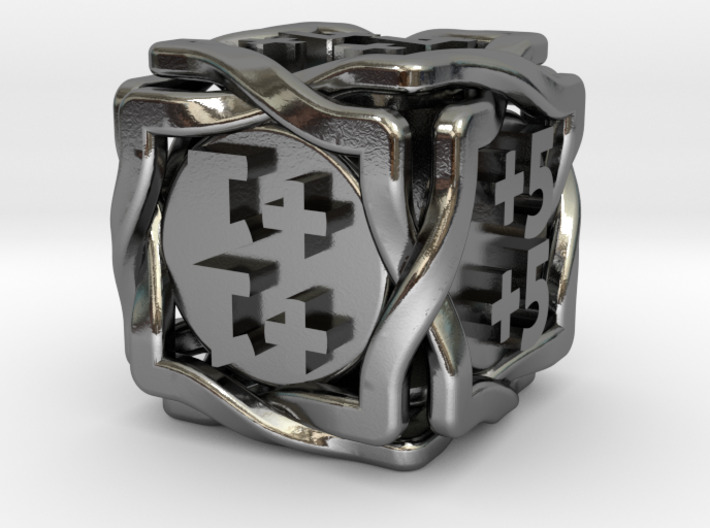 This die is part of a larger family of dice with the same design aesthetics, which is available through my Shapeways shop. 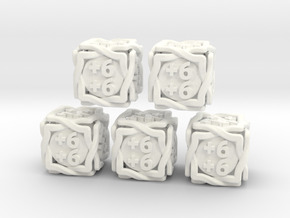 This same die is also available as a set of five.